Simple control processes with the touch display. Self-explanatory menu guiding. Easy-to-understand display symbols guide you easily through the self-explanatory menu to all operating options. Easy to read even from a distance. The smooth surface offers a high standard of hygiene. The inclined, flush position of the operating field protects the surface against damage. 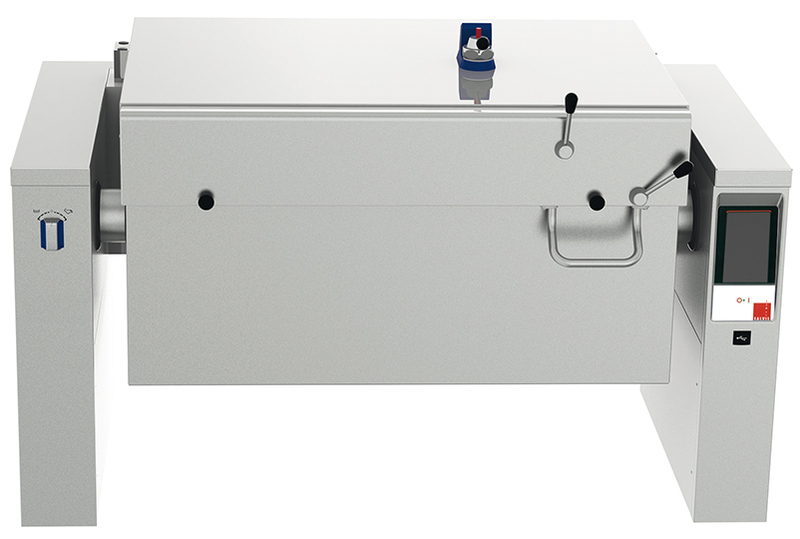 The pan bottom with 2 individually adjustable heating zones consists of a 15 mm thick aluminium heating block with a superimposed 18 mm compound layer with a stainless steel cooking surface. This provides best possible heat distribution into the corners of the pan – no burning, fast reaction times. The electronic control unit adjusts the power depending on the selected cooking method to keep the required temperature constant. In braising mode, the control is effected by 2 sensors in the pan bottom. The required power is supplied to keep the set temperature (up to max. 250 °C) without exceeding it. In cooking mode up to and including 110 °C, a food probe in the side wall is used for temperature control. 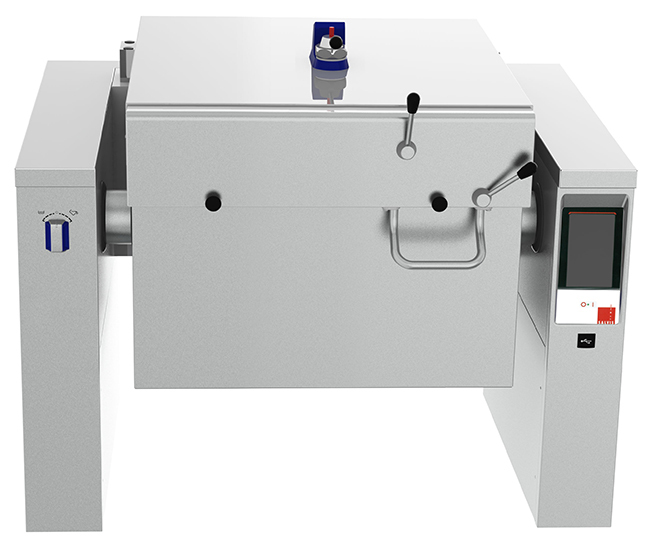 In pressure mode – when the lid is closed and locked – the system automatically controls pressure and temperature for the pressure cooking process. Multi function device which can be used as a frying pan, frying plate, kettle, steamer and pressure steamer.